Revive and renew your body, mind and senses with the Osaki OS-3D PRO Dreamer massage chair. With its 3D massage technology it is one of the most advanced chairs on the at-home massage market today. Designed to tackle the stress, tension and everyday fatigue this massage chair will help make way for a healthier, happier you. Fully equipped to provide you with the most human like massage experience, the Osaki 3D-pro dreamer is equipped with newly enhanced 3D massage rollers that are designed to massage wider and deeper than typical rollers. Now, the massage rollers don't just go up-and-down and side-to-side, but they move forward-and-back to add the ability to increase roller intensity for you and make your massage even more customizable. The 3D technology allows you to lengthen or protrude the massage heads up to 8 mm for a truly deep massage. Experience the most humanlike massage from Osaki. The newly enhanced 3D massage designed to massage wider and deeper than the conventional massage rollers. The 3D technology allows you to extend out the massage heads up to 8 cm for an intense deep massage. The 3D intensity has 5 different levels, ranging from mild to strong. With the 3D technology, reaching and massaging the acupuncture points becomes effortless with accurate precision and depth, leaving you revitalized. You have approximately 350 accupoints in your body, with nearly 100 in your back and neck alone. 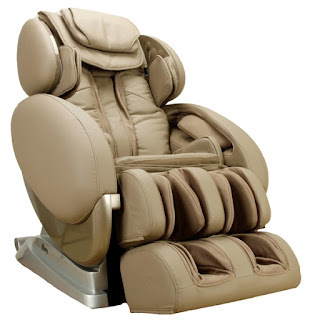 From the soothing palm style massage of the Swedish massage, to the deep tissue kneading of the shiatsu style massage, the OS-3D Pro Dreamer zero gravity massage chair has a variety of techniques to target the acupoints with precise accuracy. The action of the intensive massage with heating for the mid back and air massage for the buttocks, make for a more thorough and enjoyable massage. With the seat airbag inflating, it will also force your lower back to press more firmly to the backrest for a stronger and deeper massage. The Cozzia Model 16027 Massage Chair features auto-scan technology that custom-matches a massage routine to each user, as well as Zero Gravity positioning that elevates the knees, keeps the spine parallel to the ground, and eliminates vertical pressure on the vertebrae to heighten relaxation during use. An S-shaped back rest and automatic reclining add to the comfort and convenience of this massage chair. 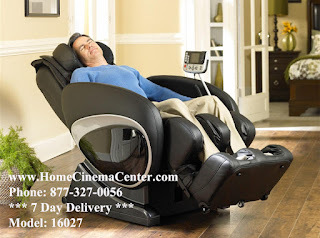 The Infinity IYASHI Zero Gravity Massage Chair - IT-IYASHI by Infinity Massage Chairs. Infinity continues to be the innovative leader bringing to market life changing massage therapies. Incorporating many of the Zen Master and Ti Chi massage techniques, IYASHI is truly an industry revolutionizing massage chair.